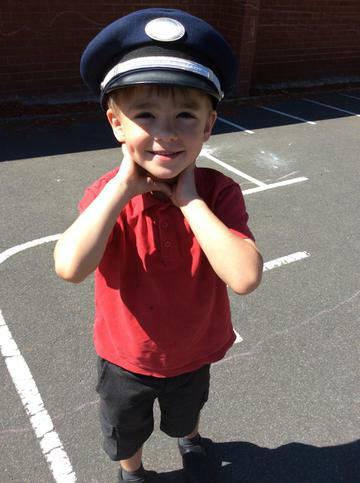 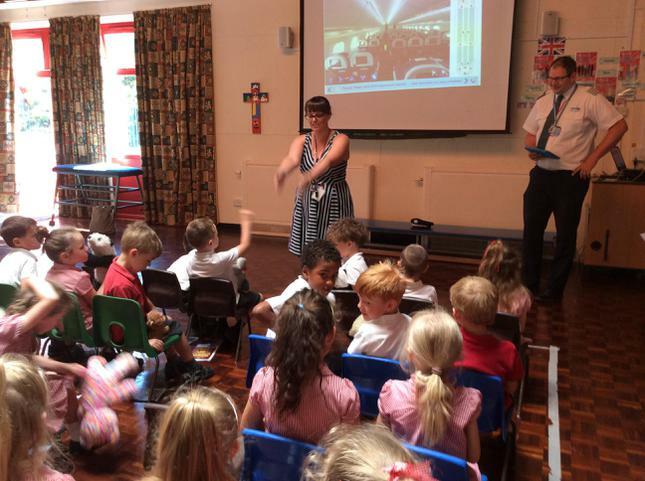 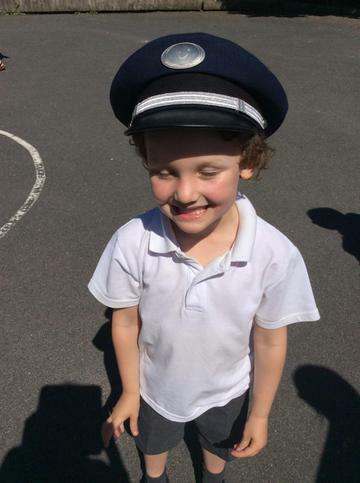 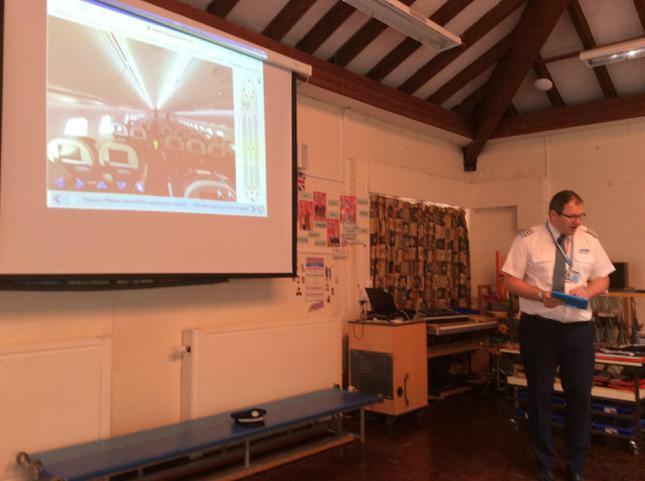 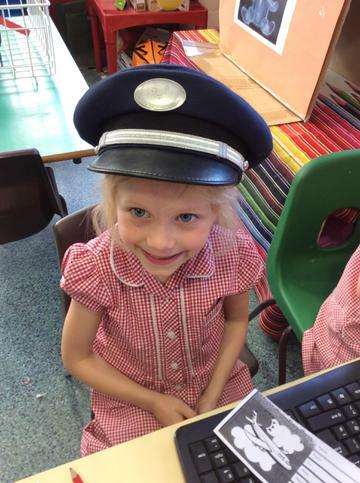 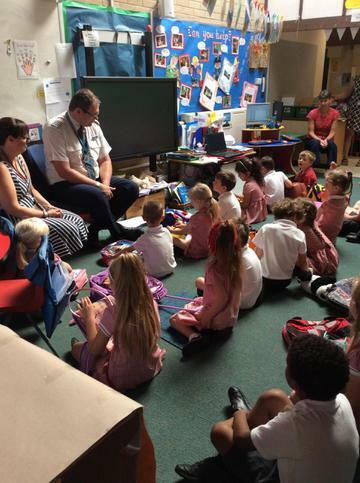 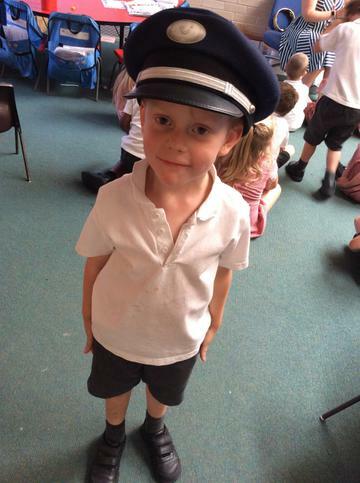 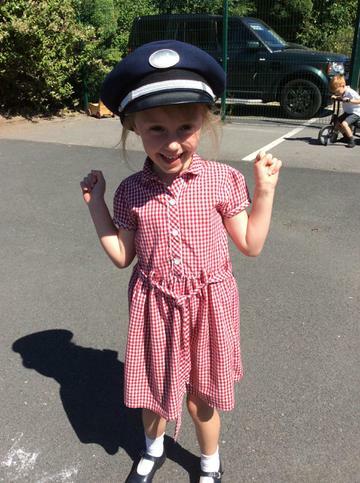 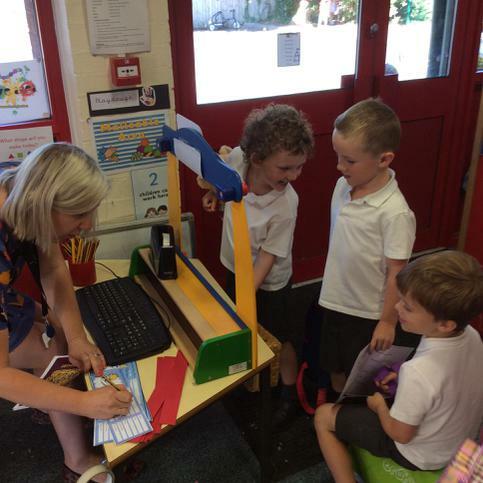 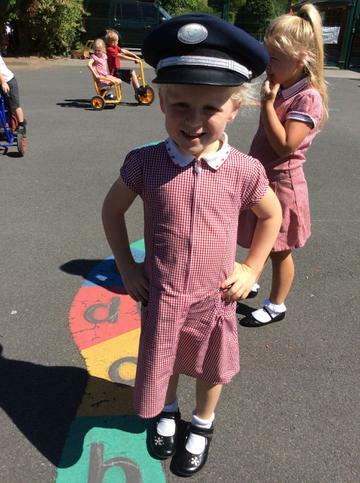 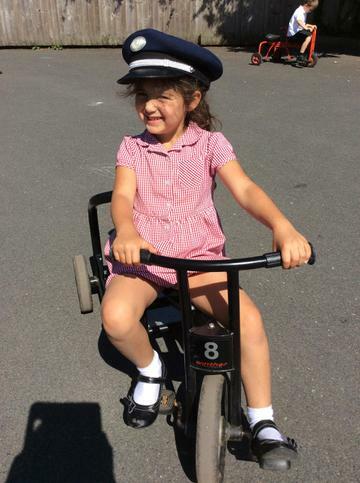 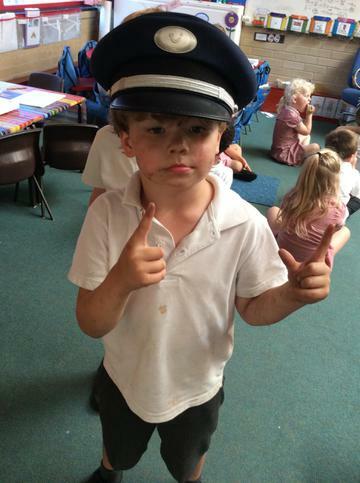 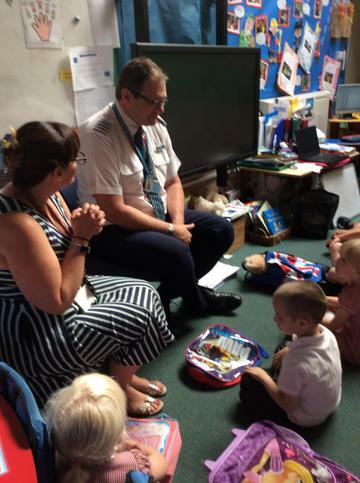 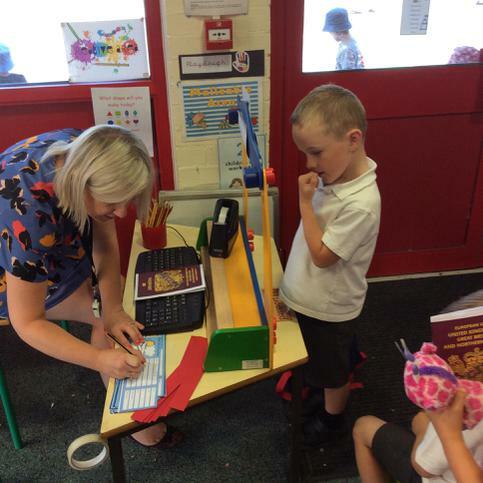 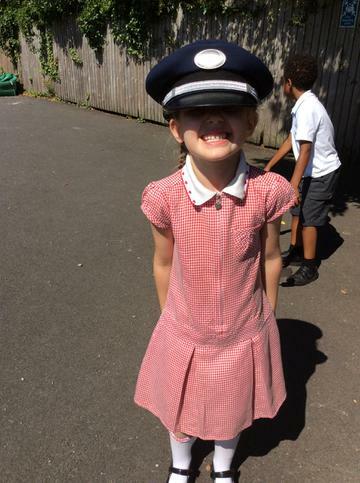 Today, Drake class had a visit from Captain Danton who taught the children all about aeroplanes and as a class we went through the whole airport experience; visiting check in and receiving boarding passes as well as security checks and getting on the plane. 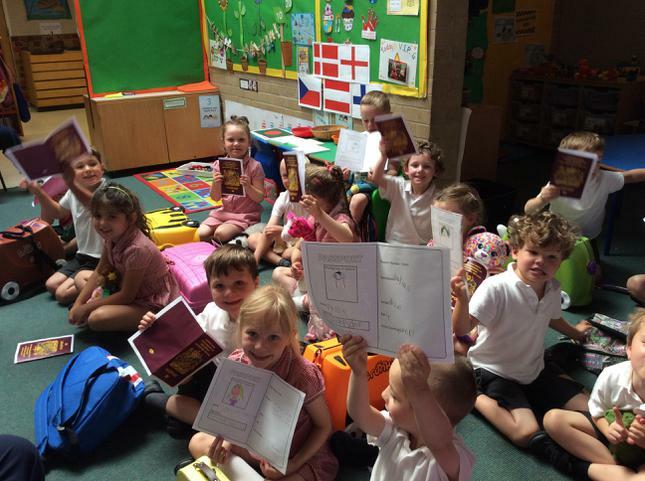 This half term our topic is ‘journeys’ we went on a magic carpet ride to destinations of our choice. 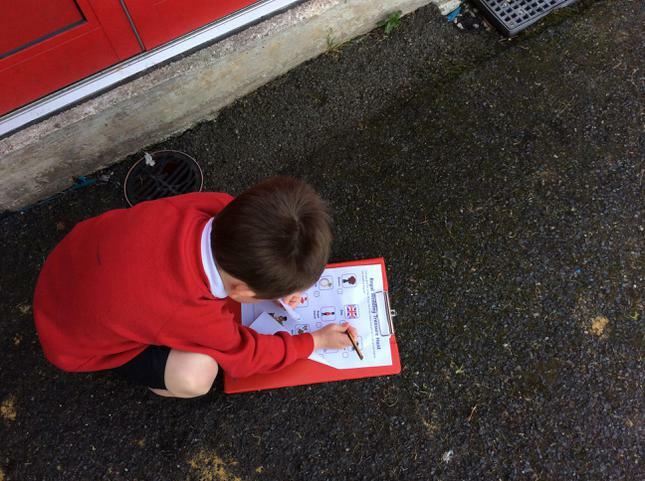 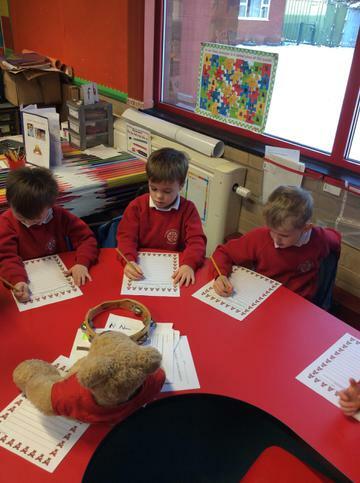 We then wrote stories about our exciting adventures to mystical lands. 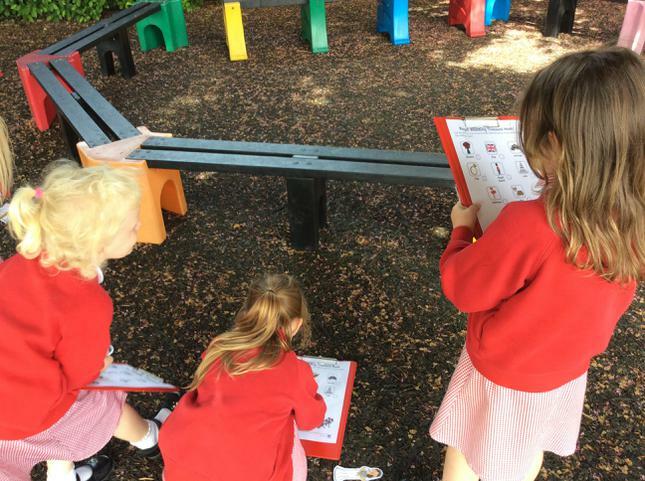 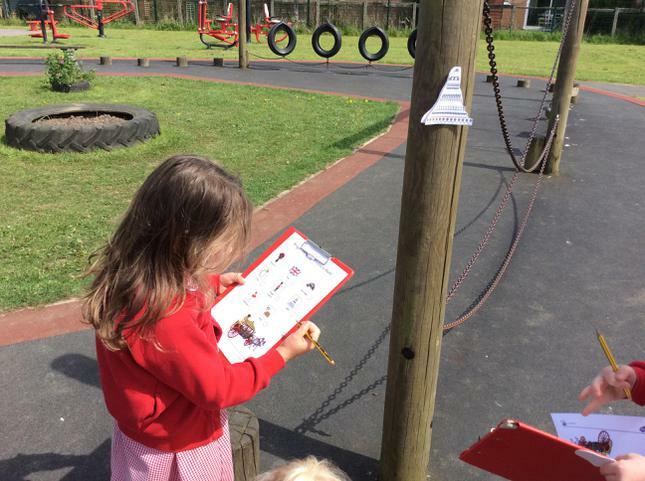 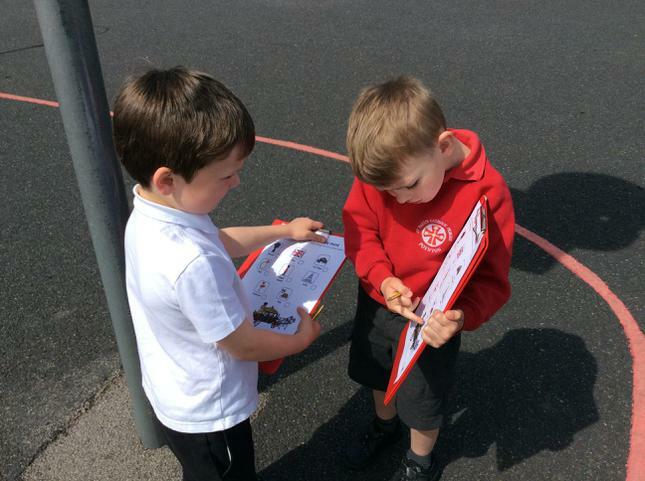 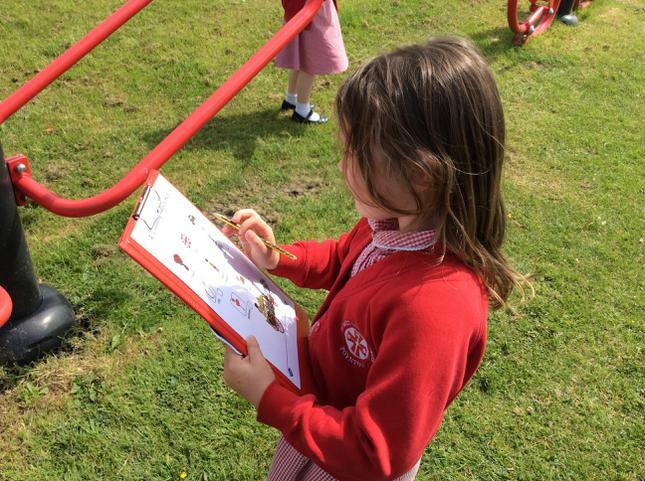 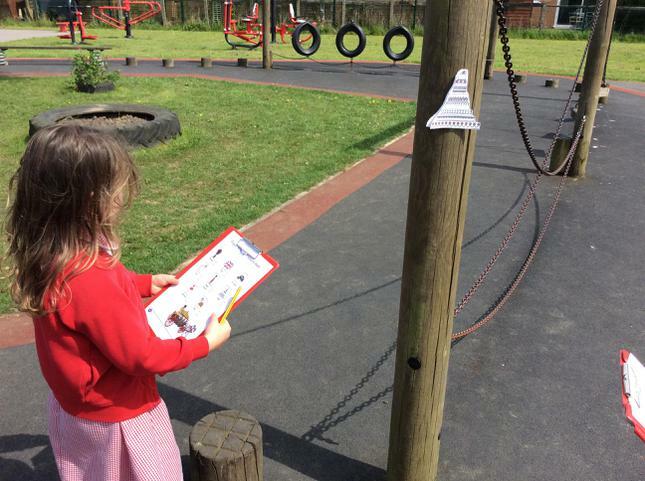 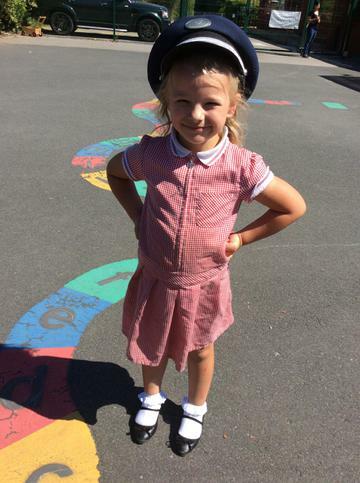 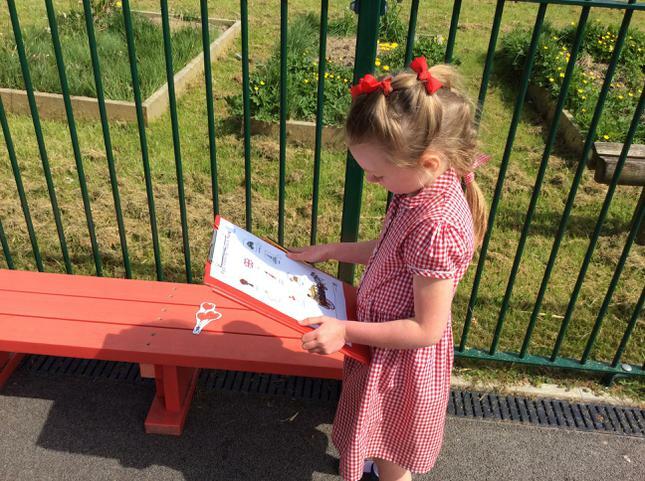 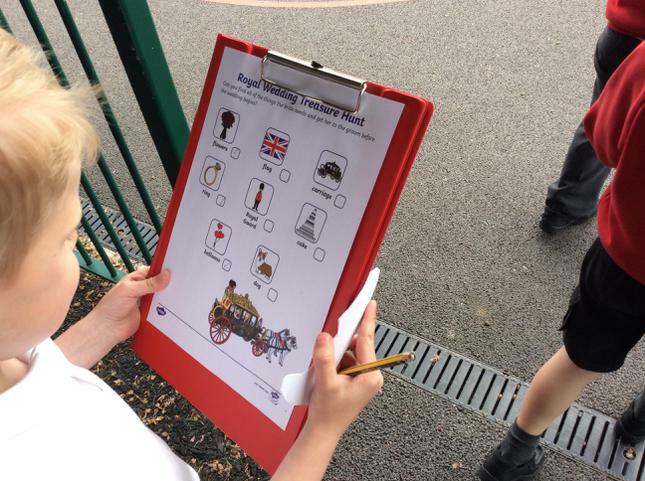 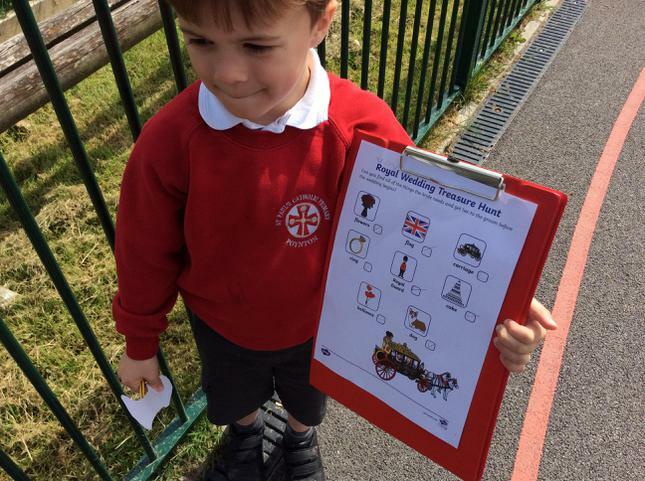 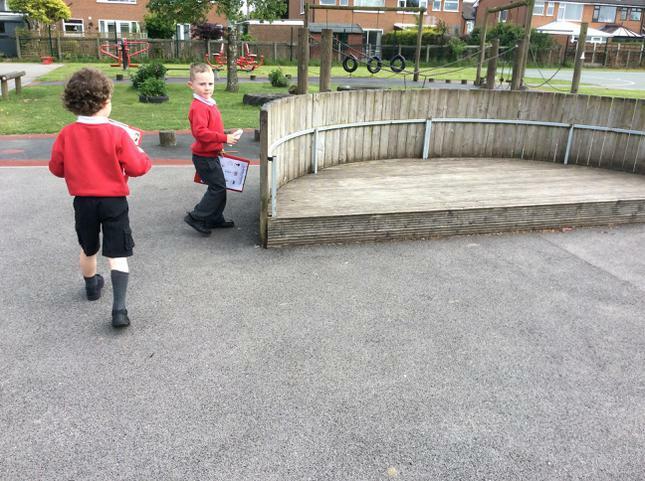 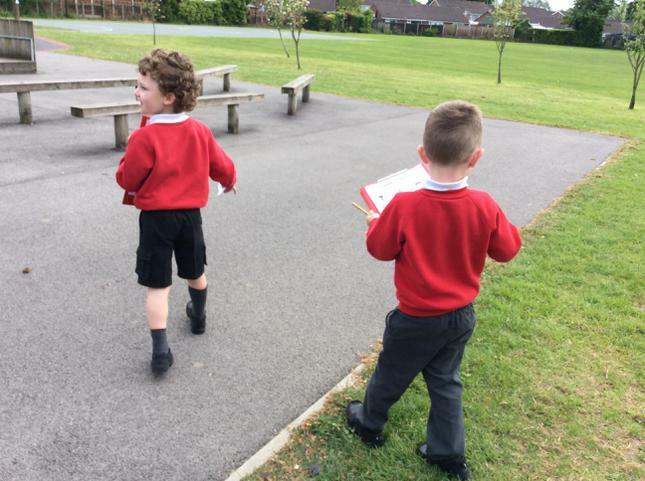 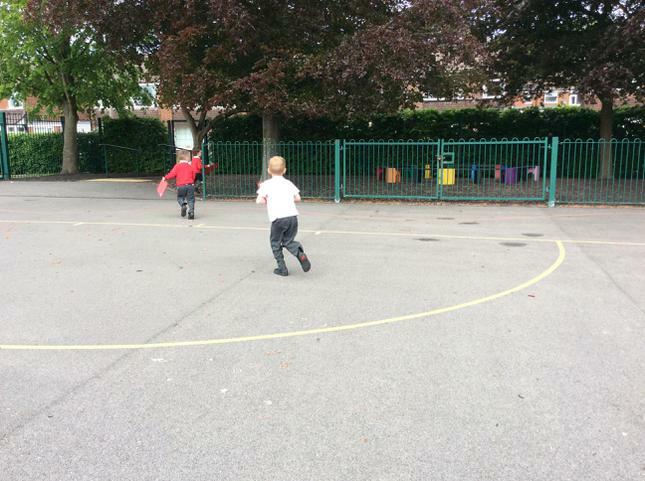 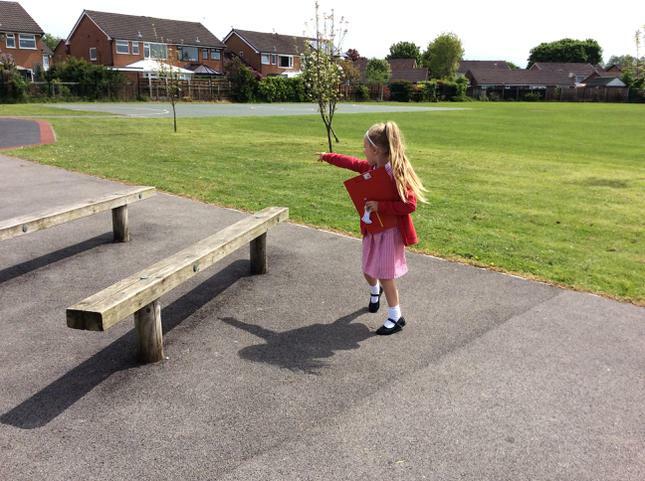 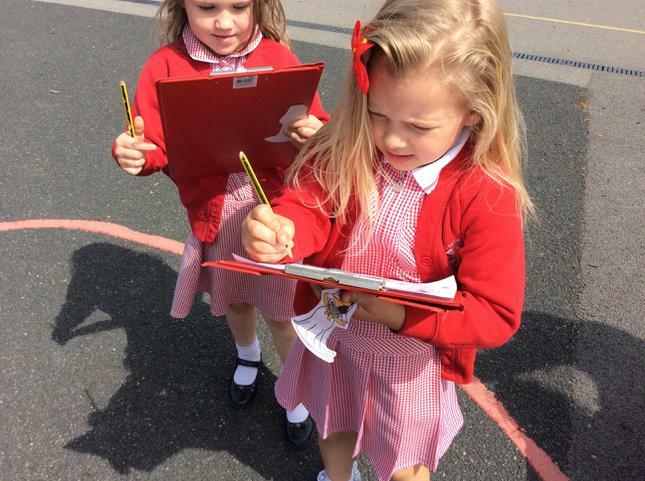 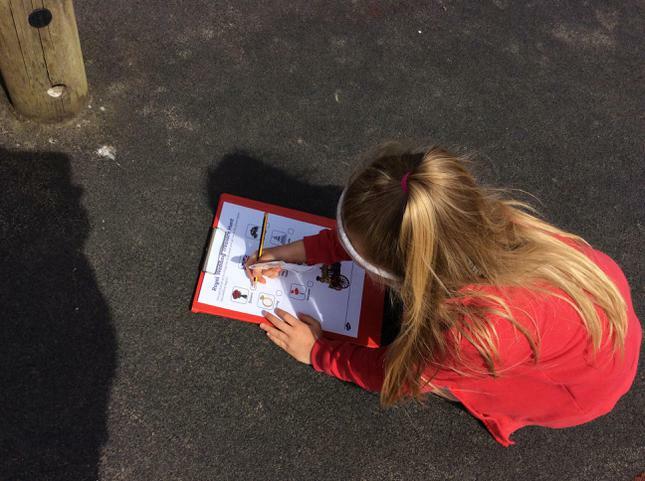 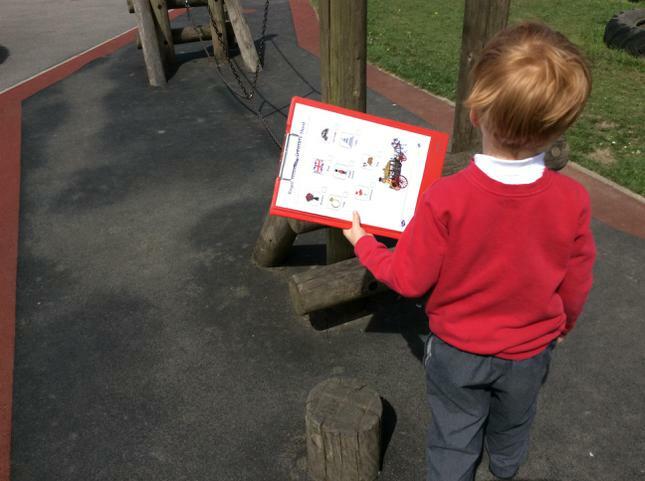 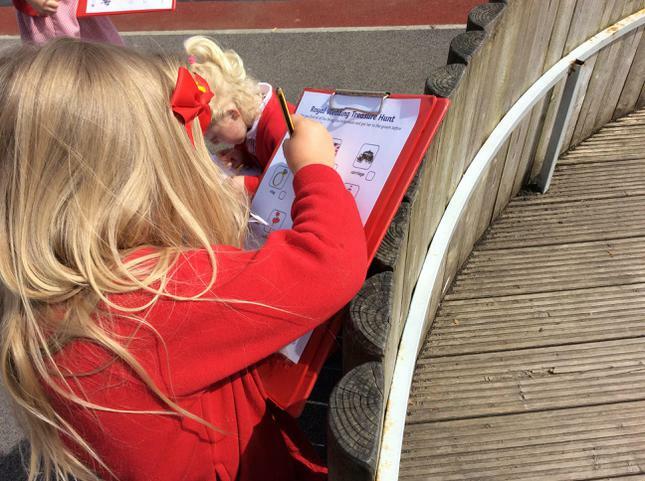 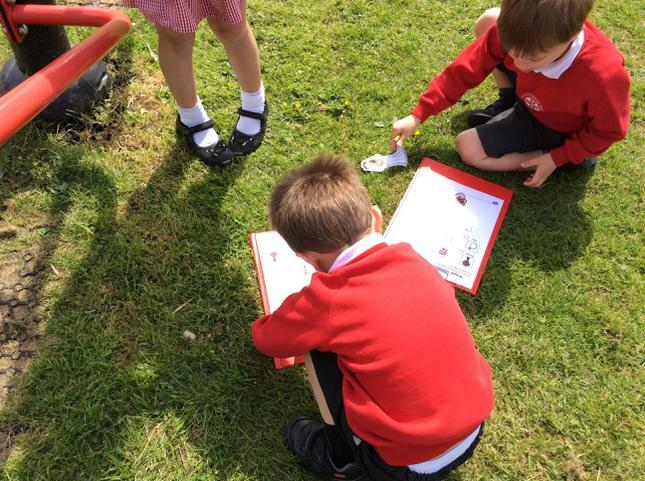 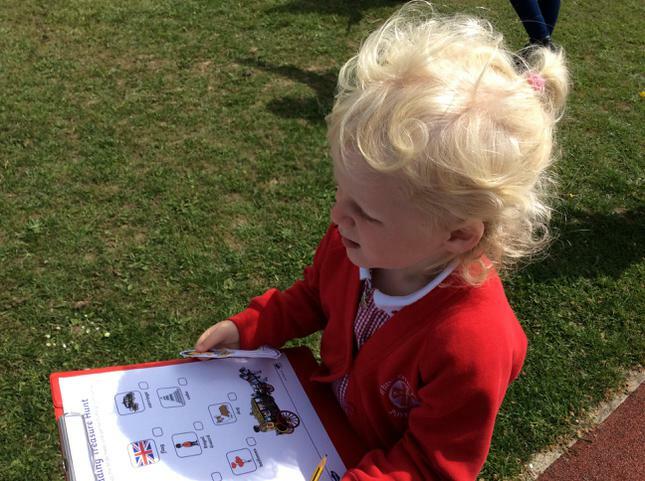 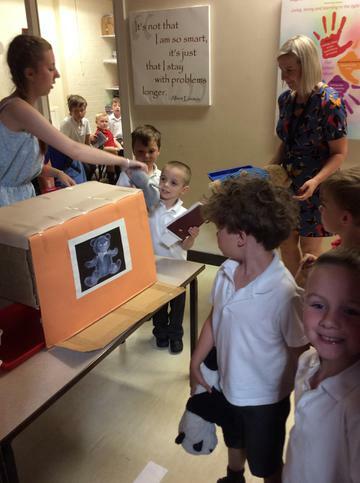 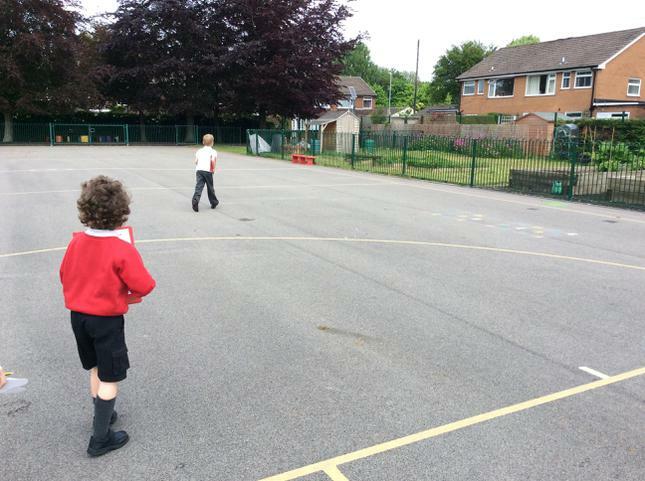 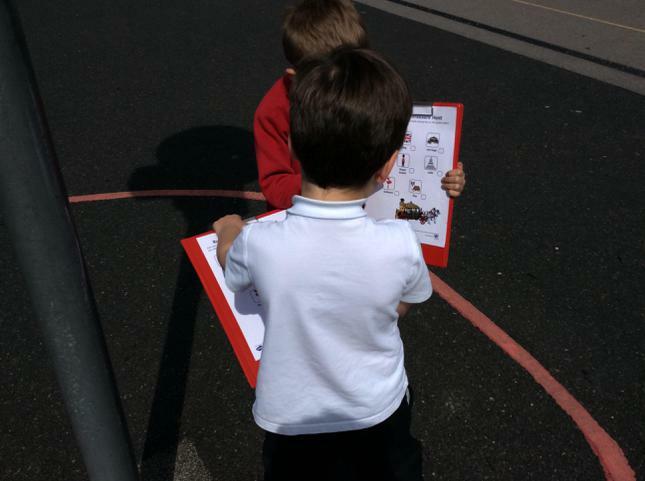 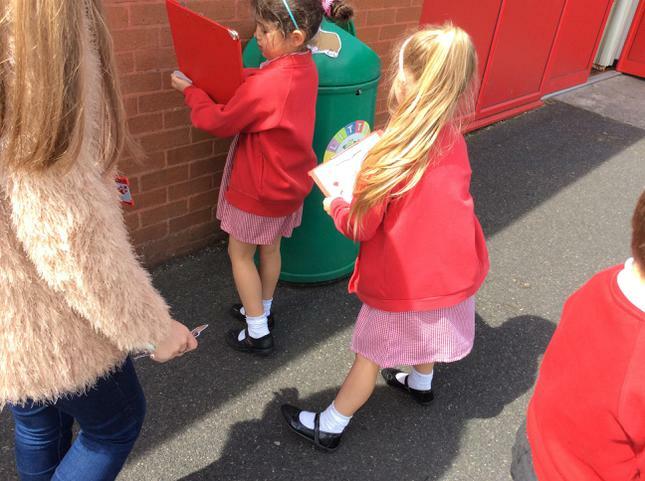 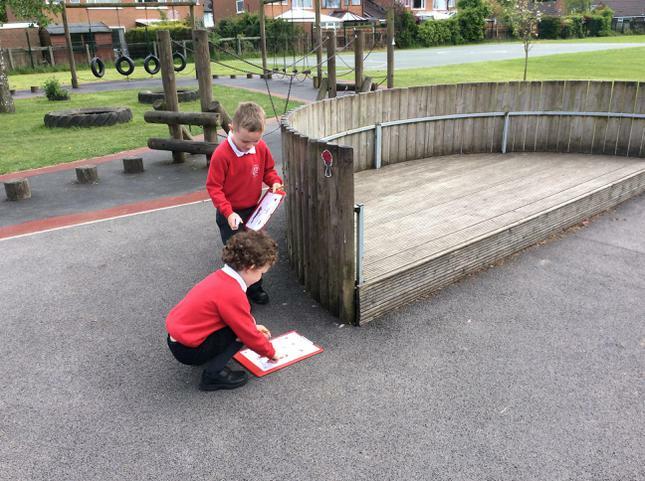 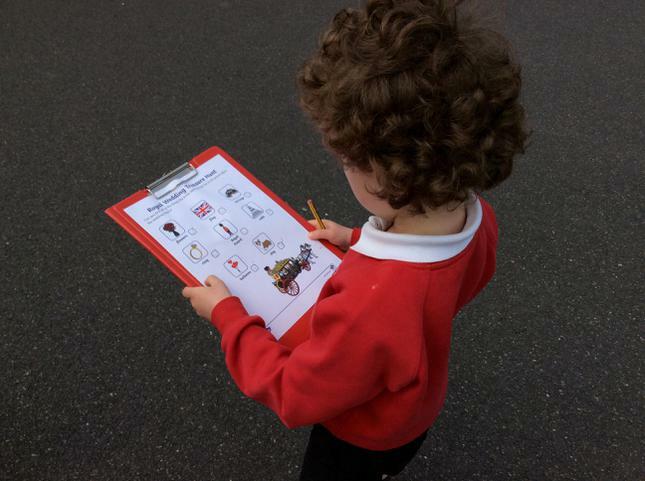 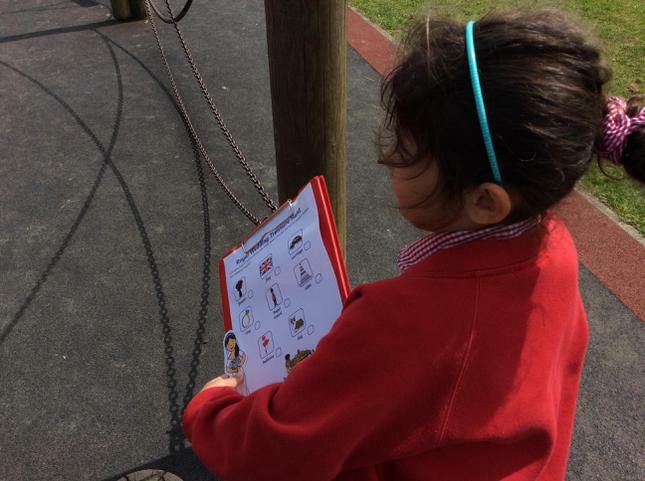 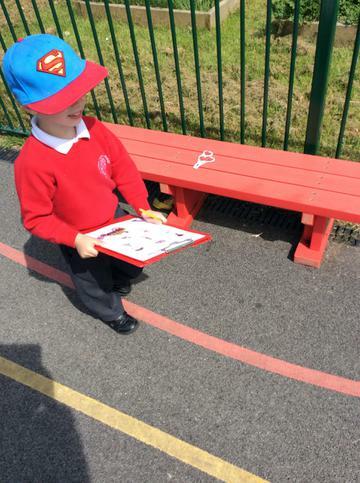 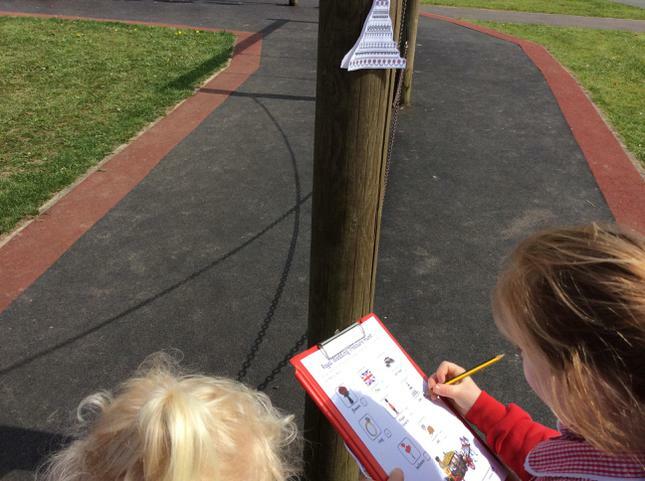 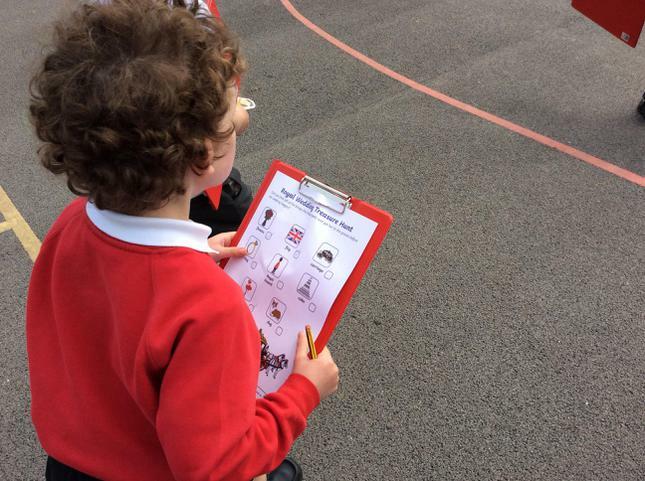 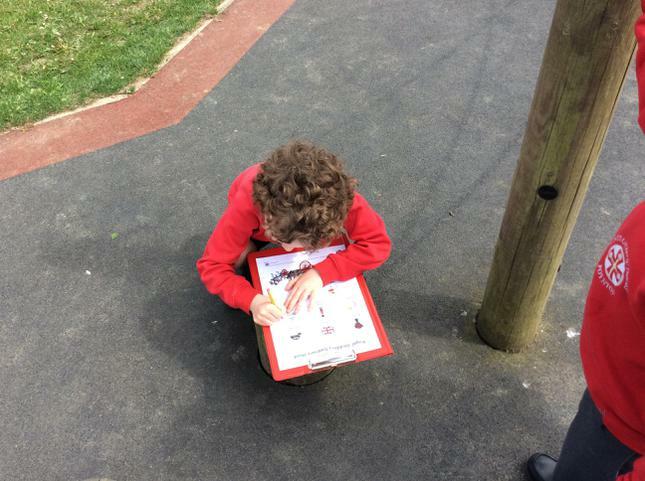 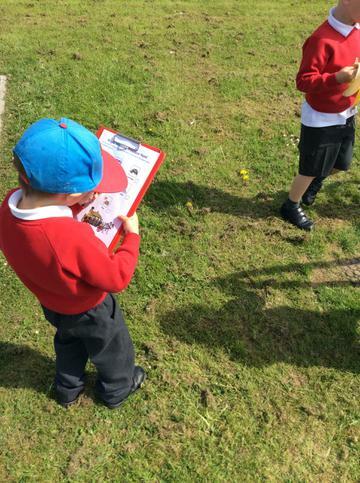 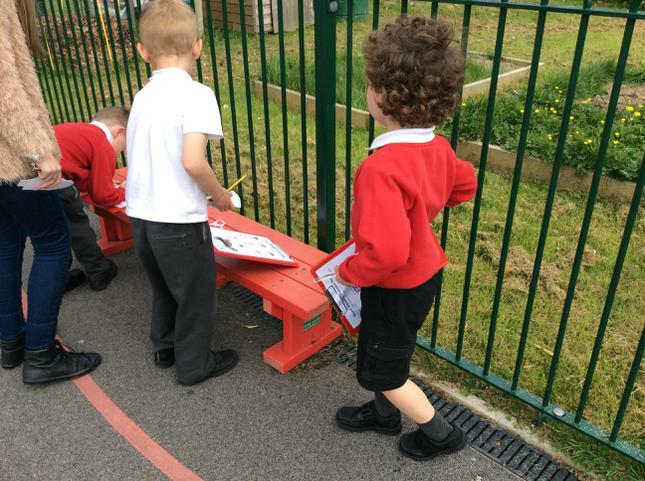 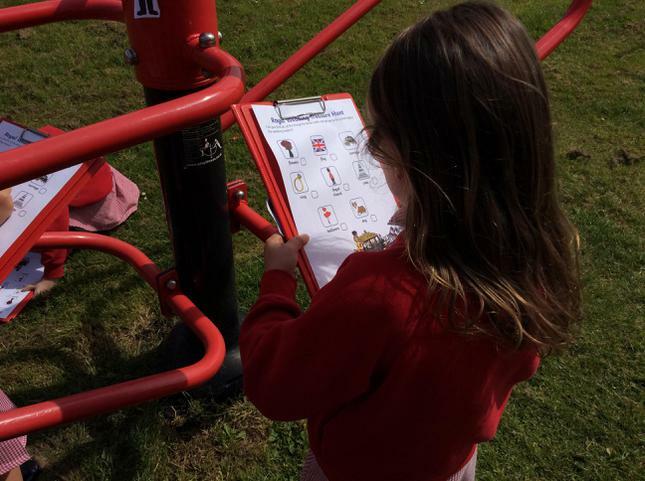 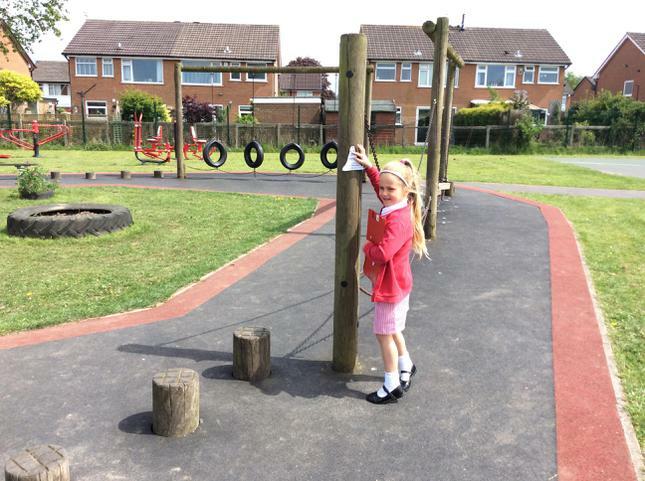 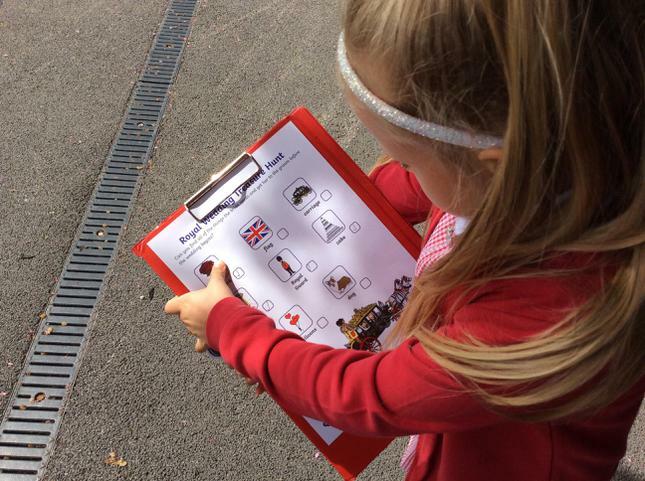 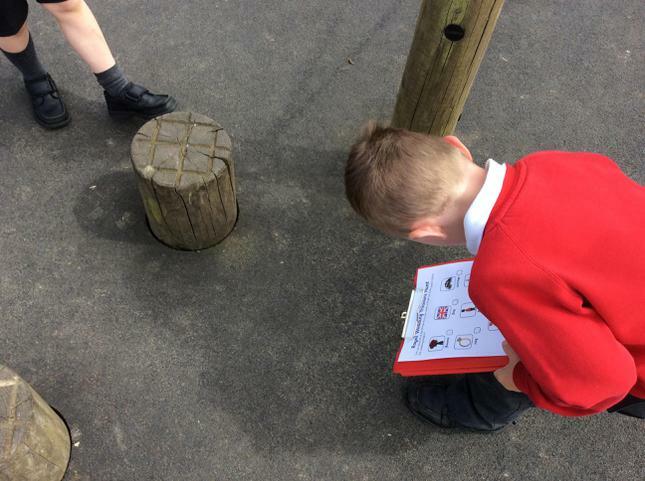 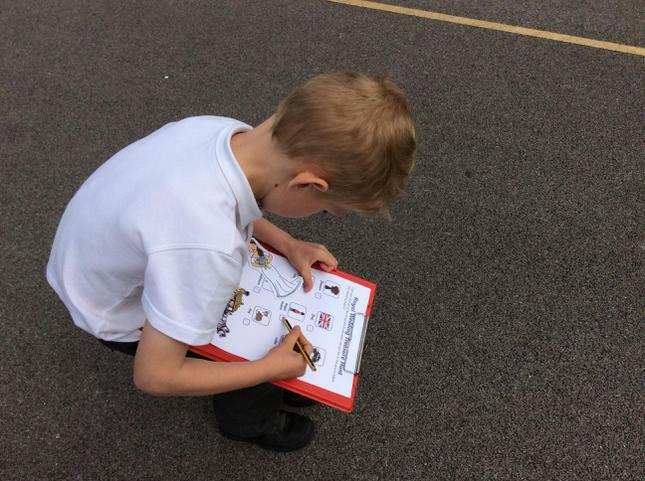 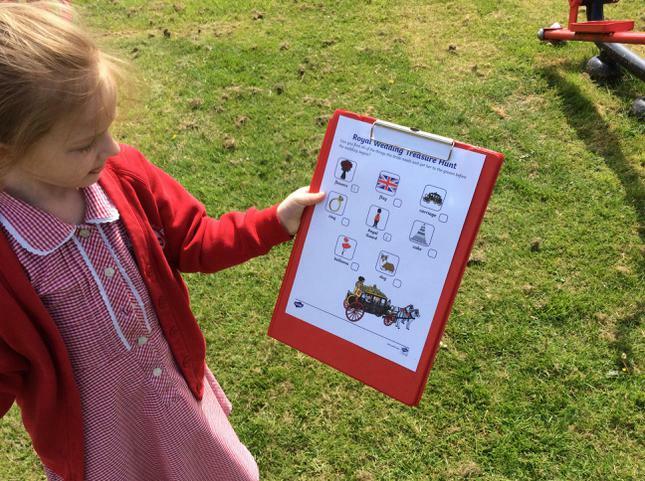 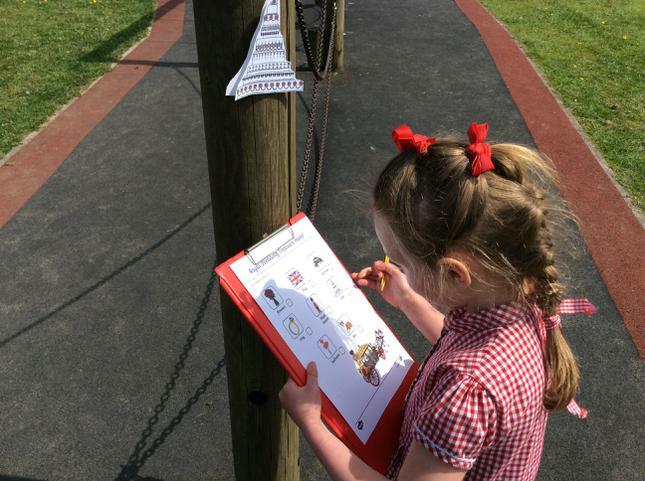 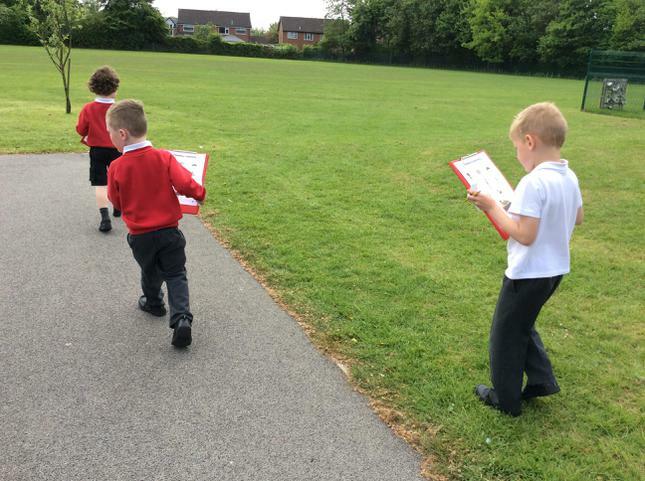 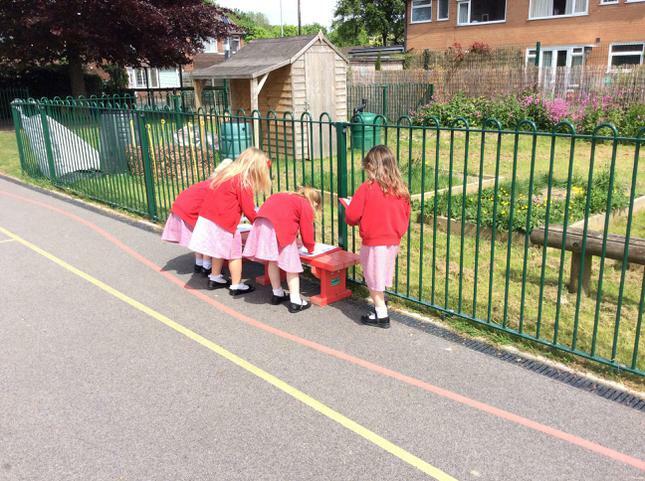 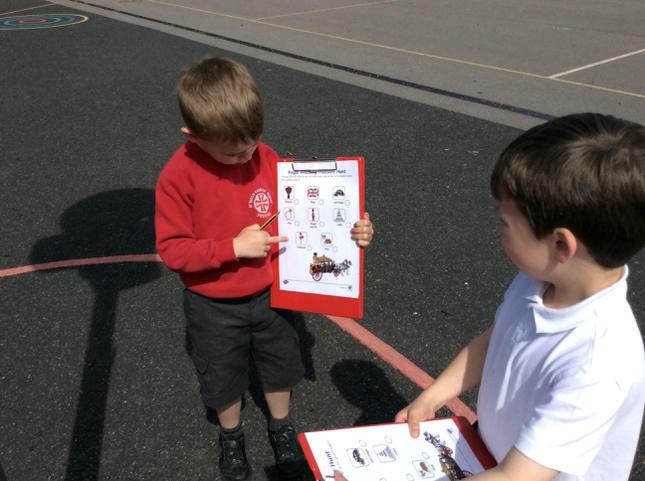 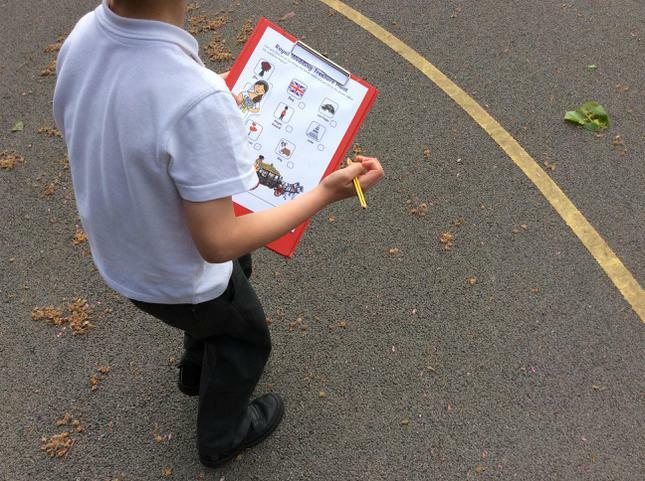 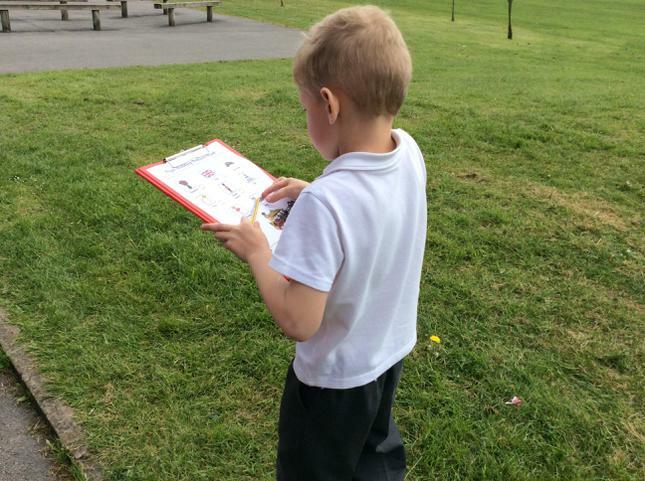 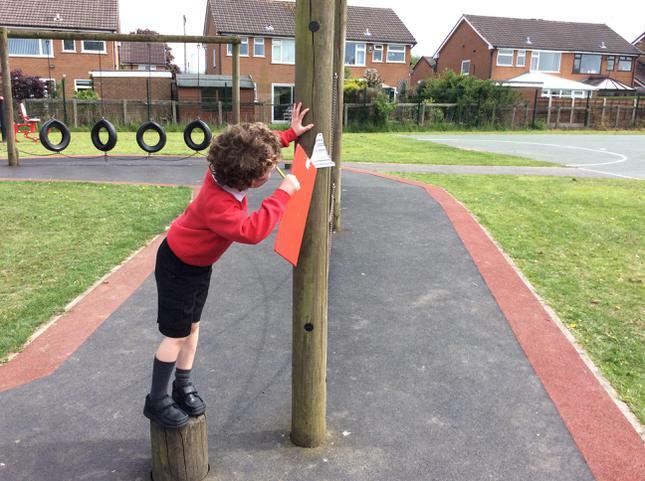 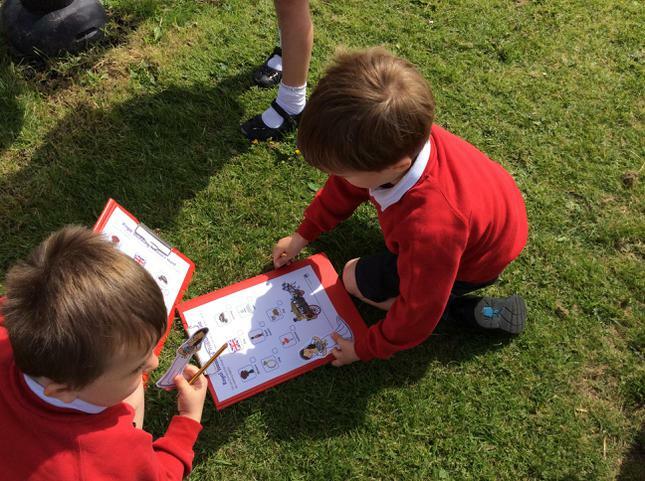 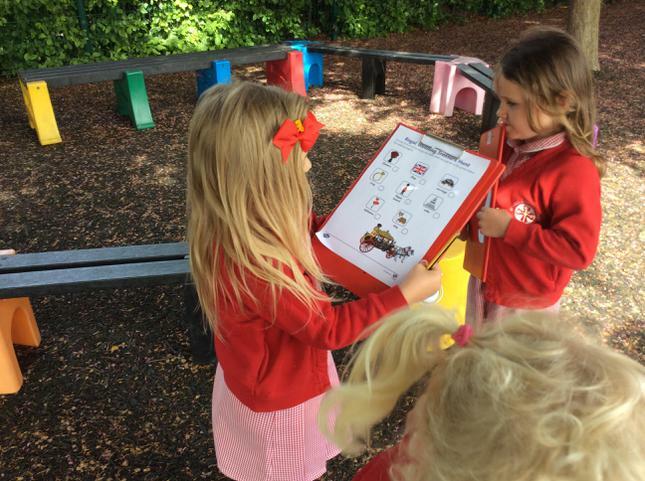 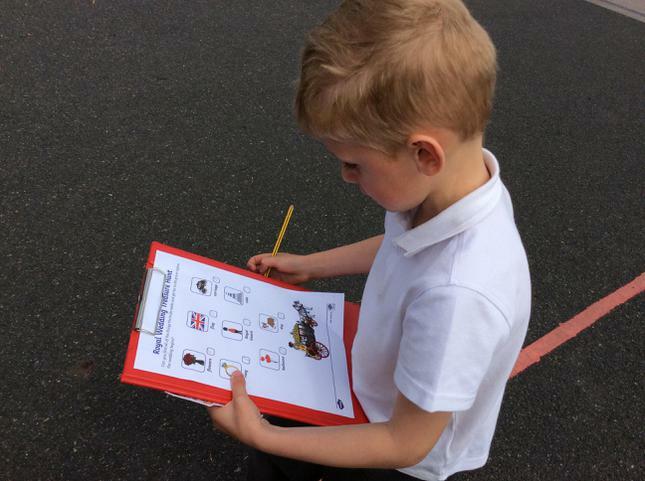 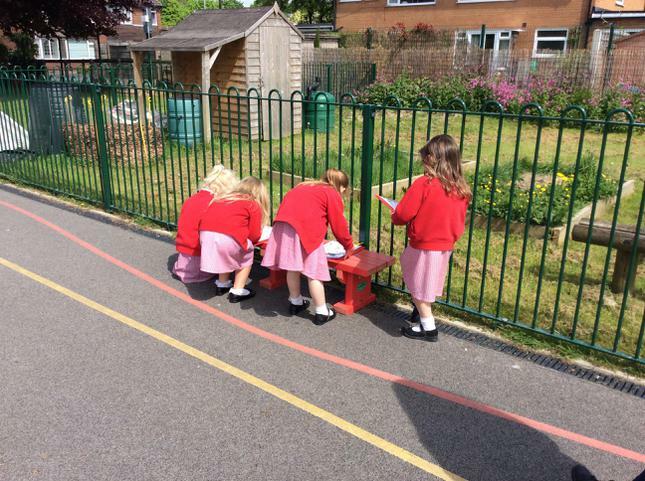 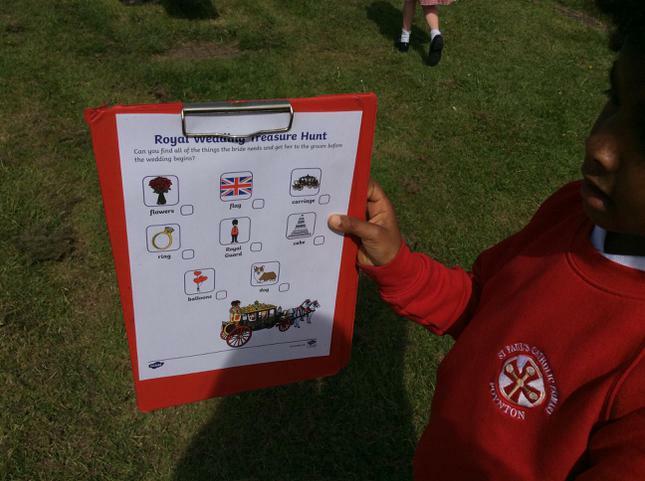 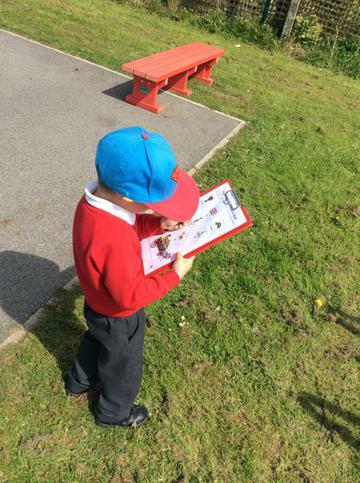 We have been learning about the Royal Wedding and have taken part in a treasure hunt around the playground to get the bride to the church on time. 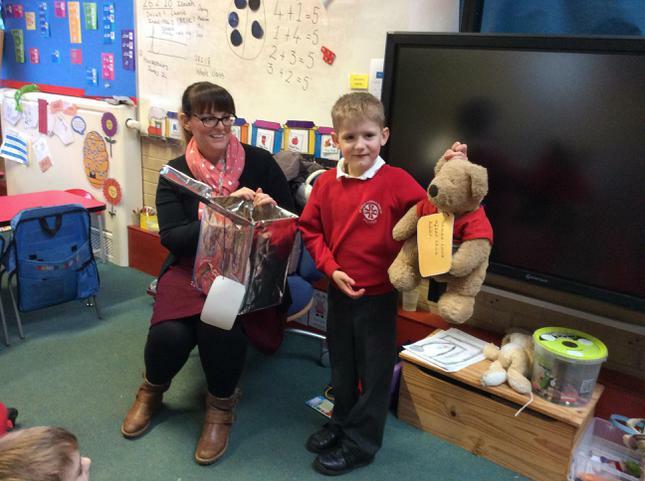 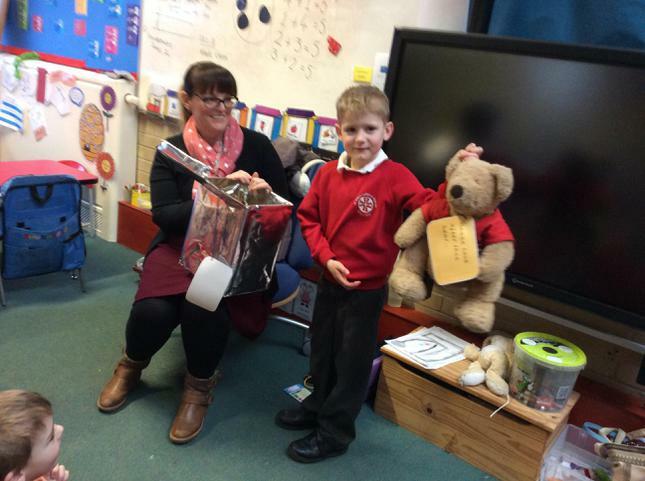 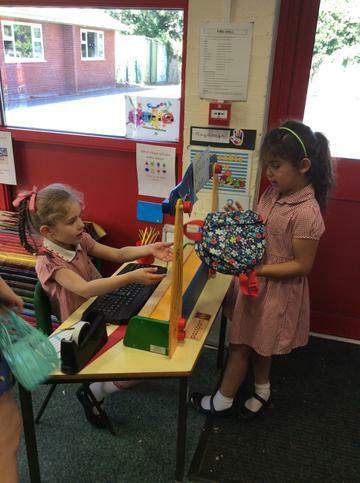 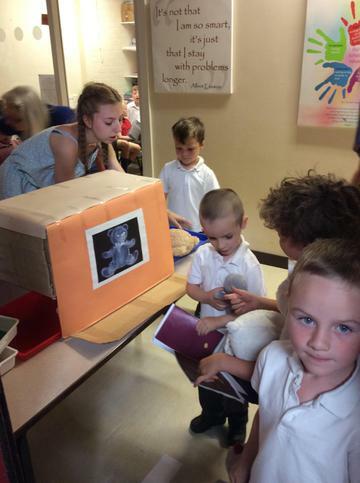 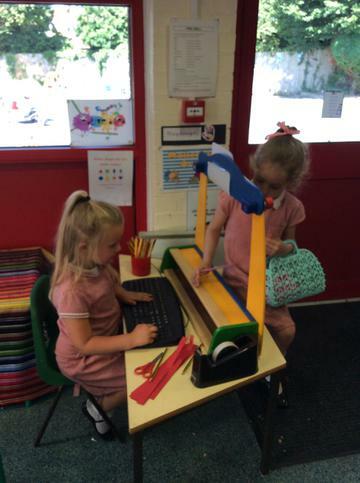 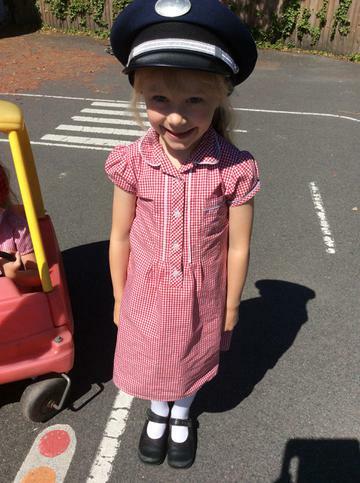 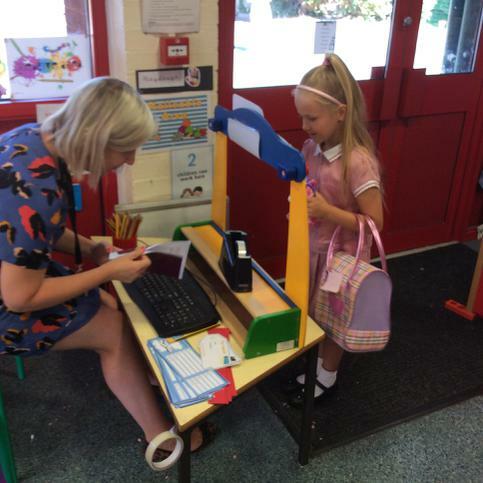 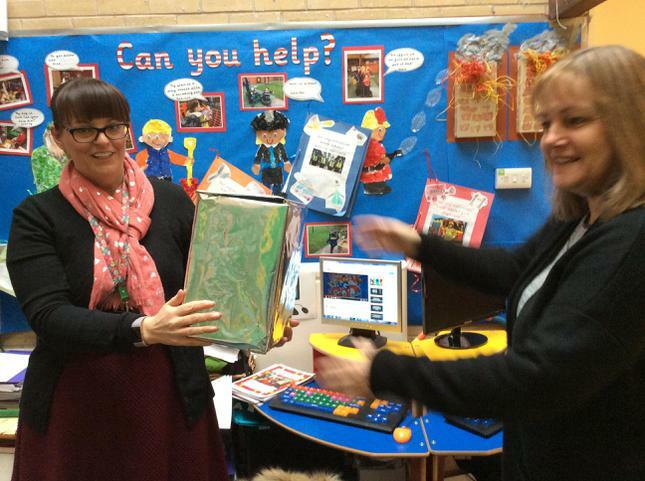 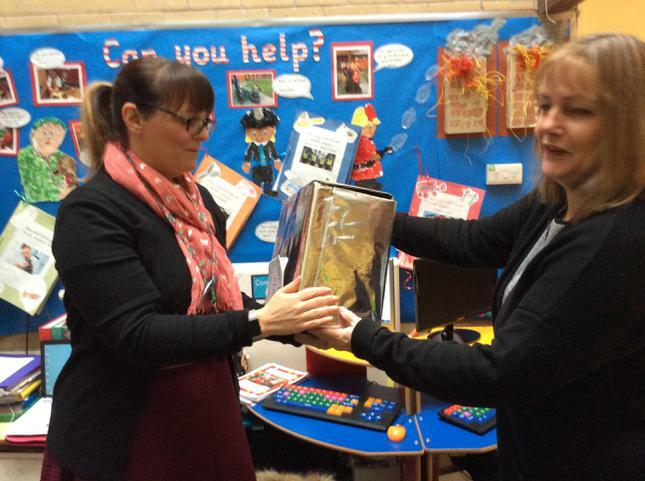 To begin our topic on ‘toys’ we had a special delivery. 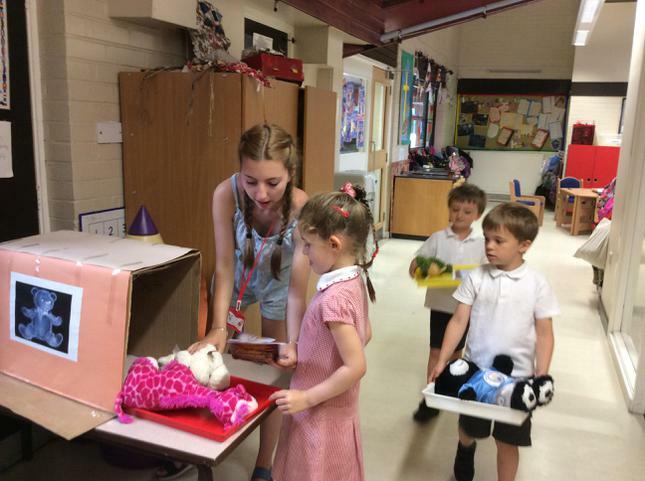 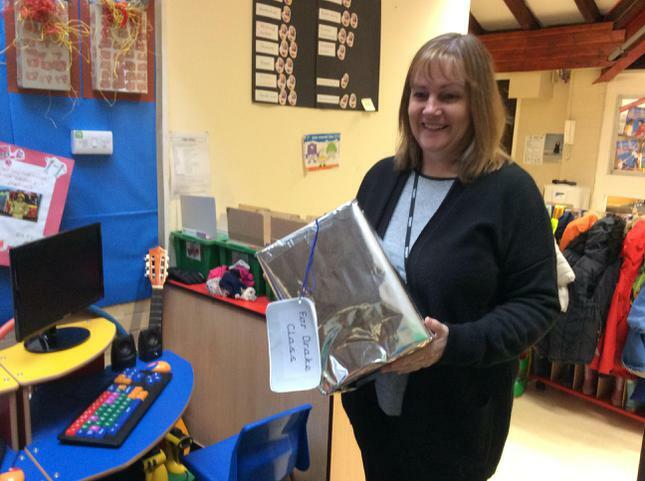 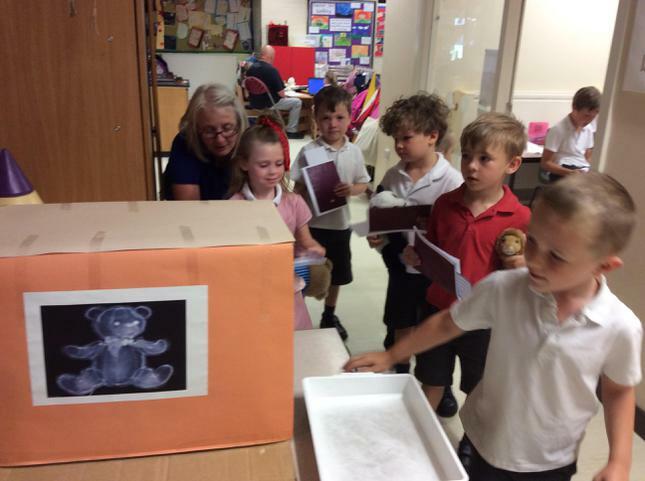 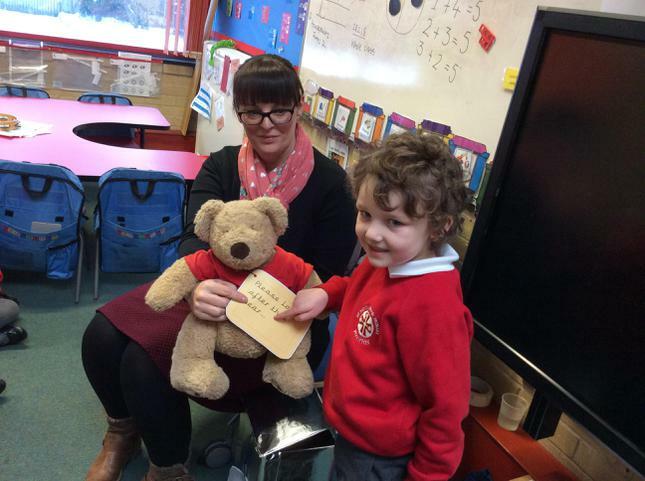 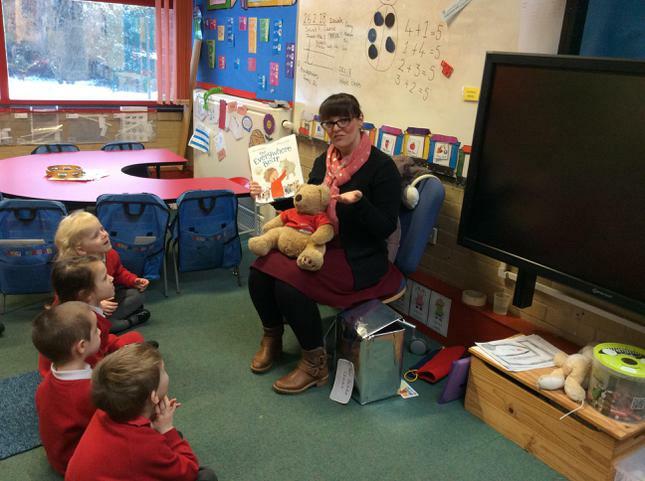 A surprise parcel arrived labelled ‘Dear Drake class’and when we unwrapped it there was a bear inside asking us to ‘please look after this bear’. 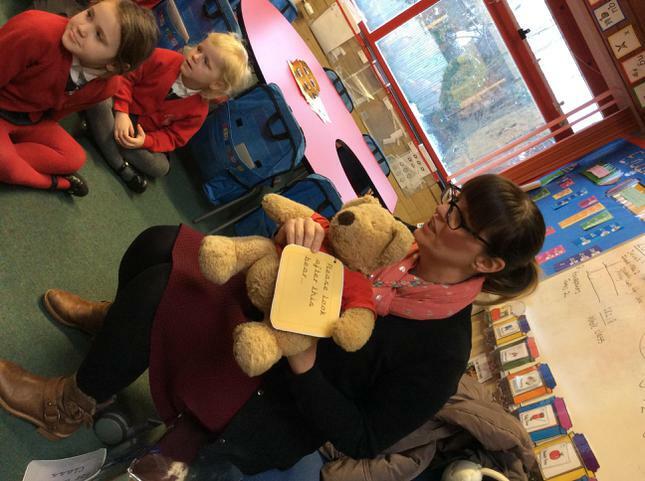 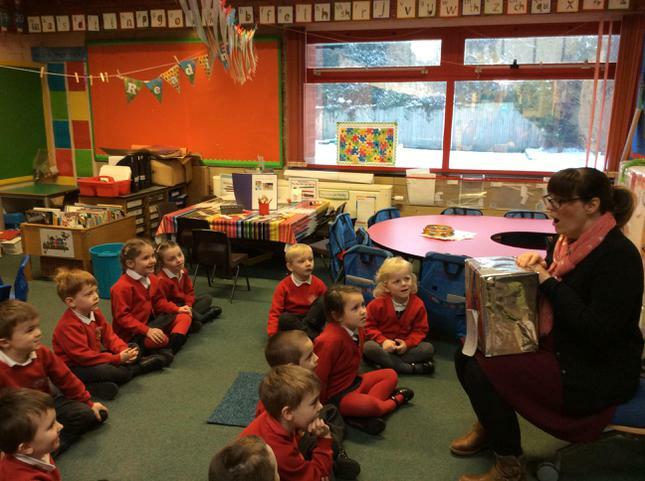 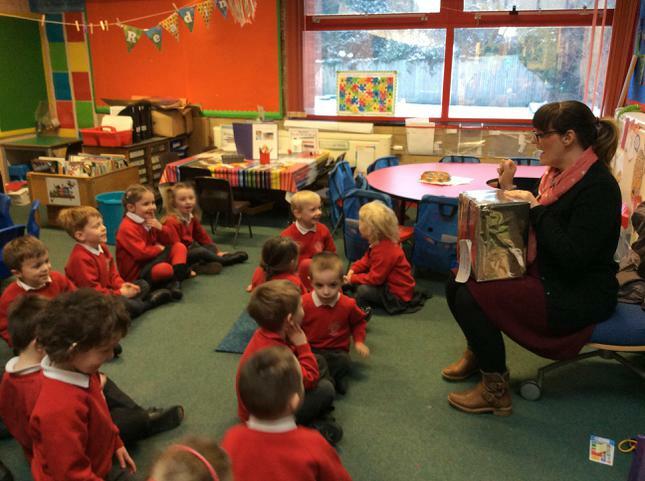 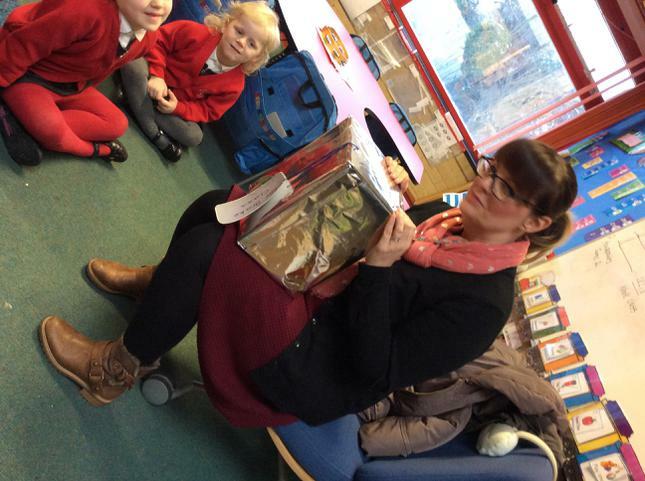 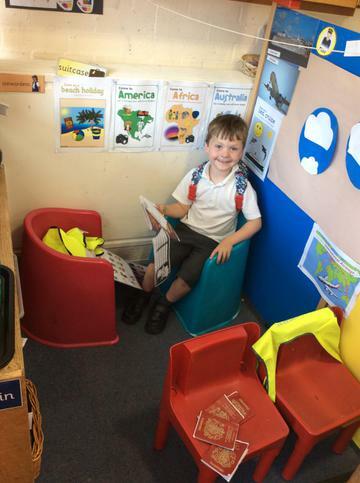 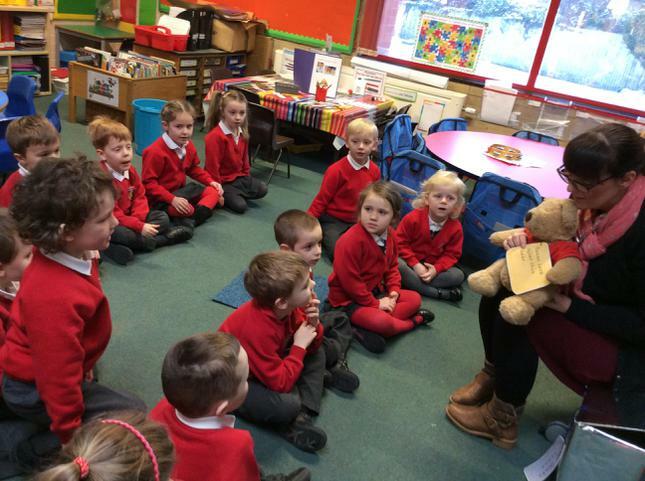 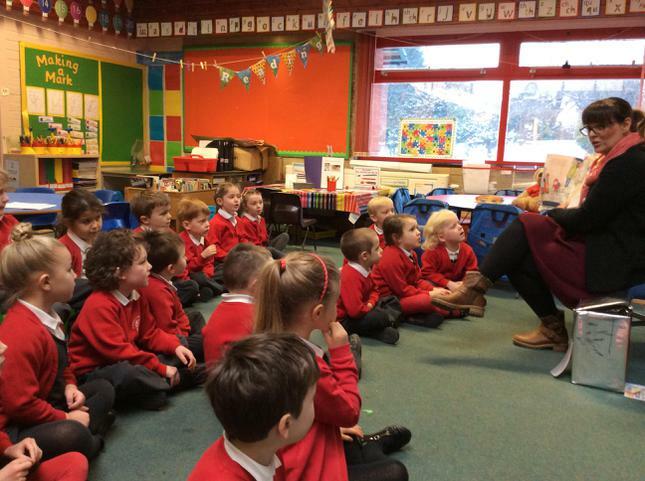 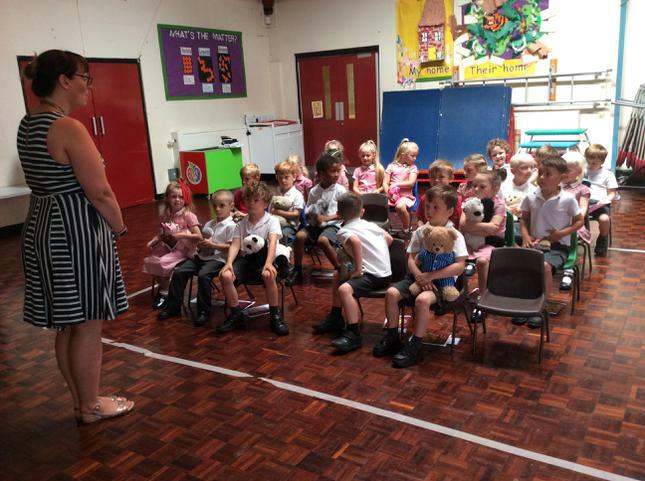 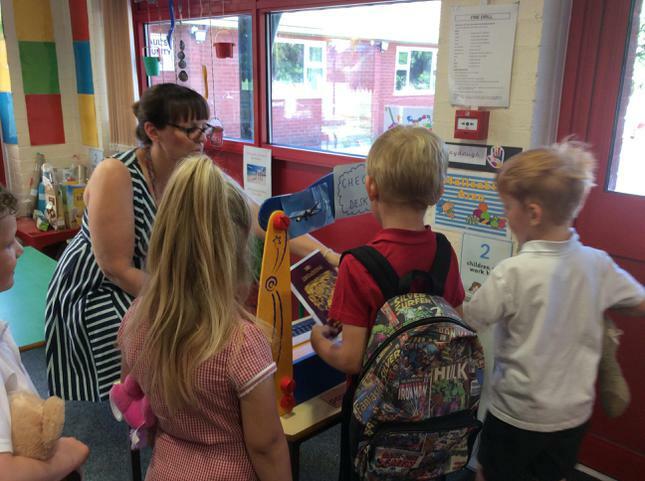 We listened to the story ‘The everywhere bear’ by Julia Donaldson and then we imagined the adventures our bear had been on before coming to our class. 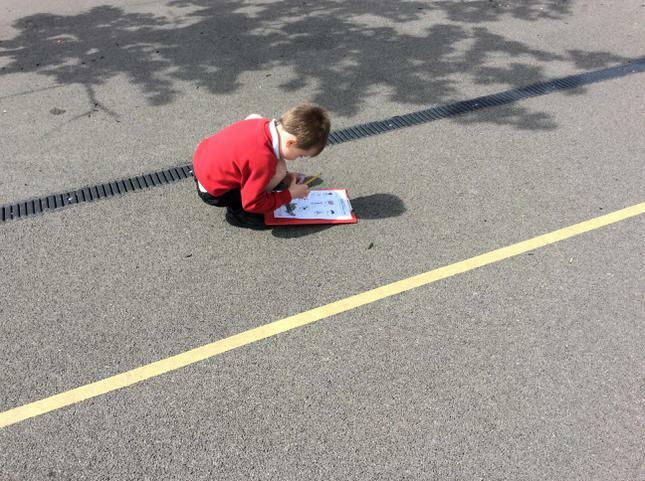 We wrote stories and used water colour paints to paint pictures of his travels. 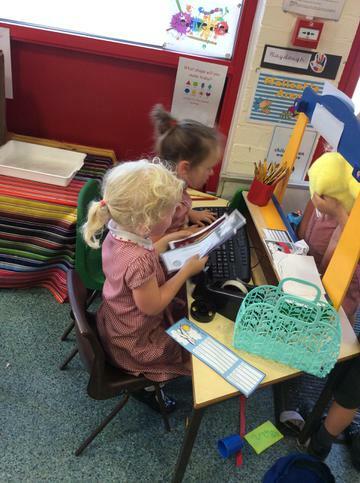 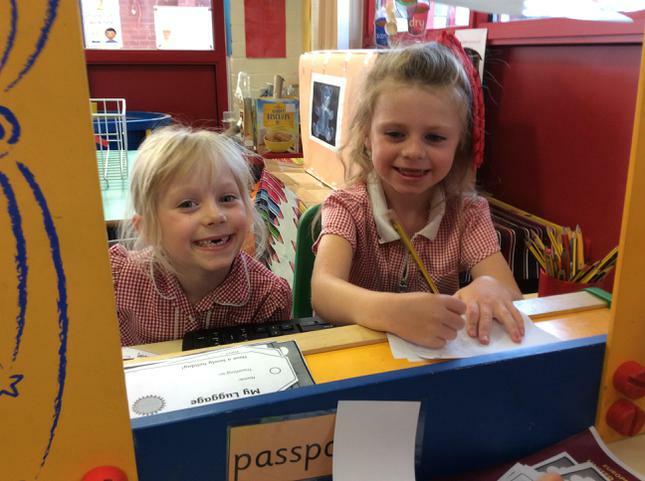 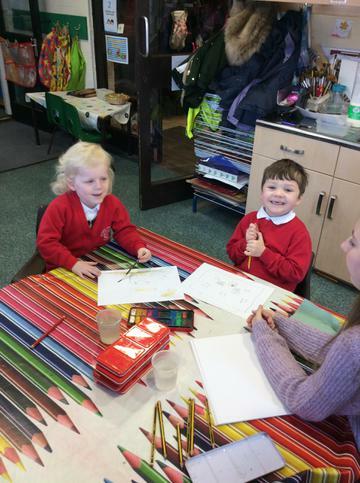 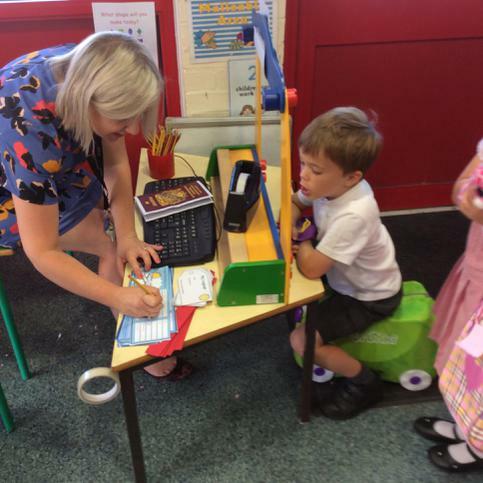 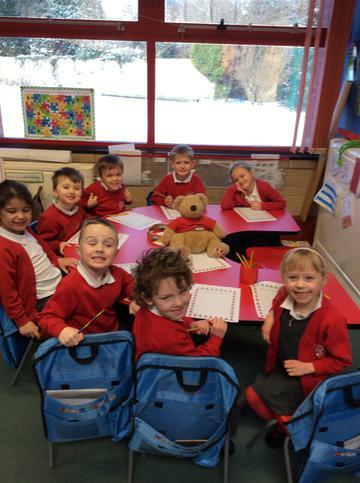 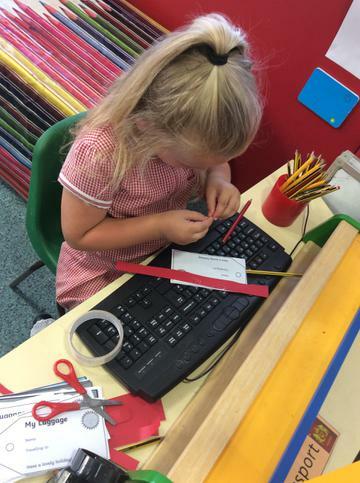 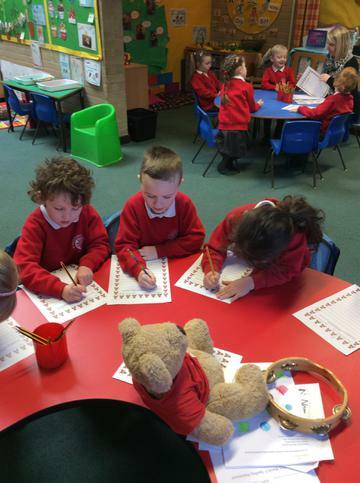 We are also writing name cards for our bear to decide on his name!